IRVINE––Walking into the last debate of my first ever Junior State of America convention, I was hit with a wave of surprise. I could not believe how fast the weekend had come and gone. This convention had given me so much, namely a newfound conviction in fighting indifference. Don’t get me wrong, before Saturday morning I understood that awareness was important, but this convention tapped into something within me. Being surrounded by students who truly cared about the current political climate was refreshing; I experienced an awakening of sorts. Spring State, filled with passionate and informed individuals, woke me up to the reality of the apathy of most adolescents, further strengthening my belief in the importance of political activism and the real dangers of indifference. Further, it led me to appreciate the amazing organization that is Junior State. The first morning there, I participated as an assembly member, voting on a bill proposed by the JSA senate. From there, I attended numerous debates ranging from the GOP tax plan to the trade war on China. Hearing passionate, informed speeches from both the pro and con speakers in each debate encouraged me to stand up, speak and gain a wider understanding of all sides of an issue. 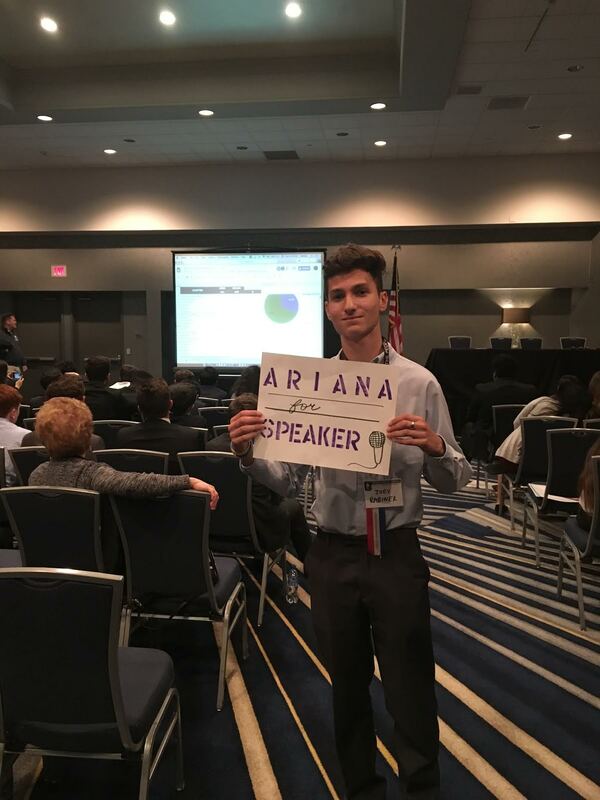 As a first time JSA-er, the conference taught me what this student-run, non-profit organization stands for at its core: teaching the next generation the importance of political activism and discourse and providing it with the tools to do so. JSA truly embodies the pillars of leadership, empowerment, accountability, diversity and inclusion that it is held by. Over the course of the convention, I had the rare opportunity of engaging in civil discourse both in and out of debates, whether it be regarding the embassy move to Jerusalem, the pros and cons of privatizing space travel, and even whether or not pizza should be considered a vegetable. All in all, the JSA Spring State Convention provided me with the conviction to make change and engage in civil discourse. I am so proud to be a part of such a remarkable student organization.